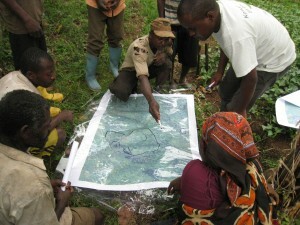 Dahari shapes sustainable and productive landscapes with Comorian communities. 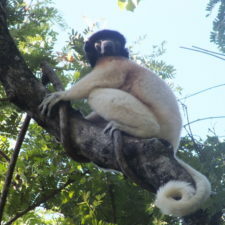 Supporting lemur conservation in the Comoros. 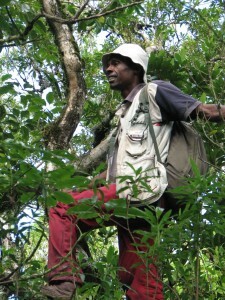 Dahari is the only Lemur Conservation Network member undertaking lemur-related work in the Comoros, a small nation to the west of the northern tip of Madagascar, and the only place where lemurs can be found naturally outside of Madagascar. As part of their work, the organization undertakes a broad range of conservation-related programming, livelihood improvement with local communities, ecotourism projects, and habitat protection work. 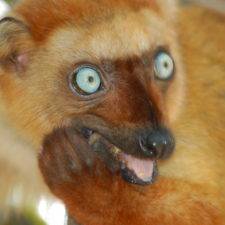 What lemur species does Dahari protect? 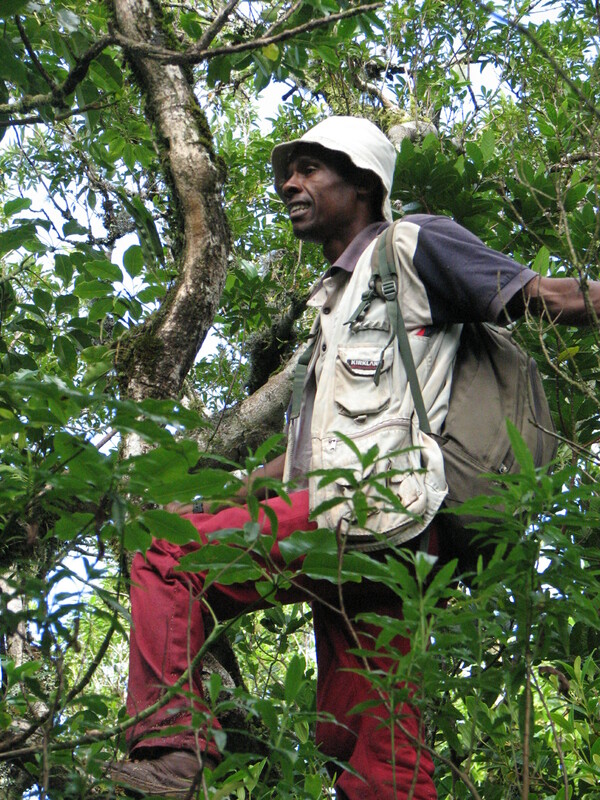 Dahari undertakes habitat protection and ecotourism work in the Moya forest area on the southern island of Anjouan. Here, the organization has been working to protect the mongoose lemur (Eulemur mongoz) since November 2014. 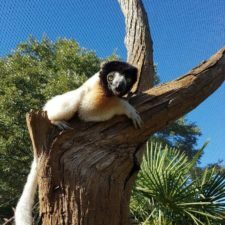 Since November 2014, Dahari has been undertaking a research project on the Mongoose Lemur. This project aims to compare the genetic material of the mongoose lemurs of Madagascar and of Anjouan (Comoros) to find out whether the genetic diversity of the two populations is sufficient to ensure the species’ survival. 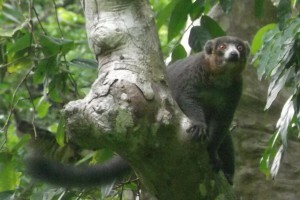 This initiative – being undertaken in partnership with the Madagascar Biodiversity Partnership and Omaha’s Henry Doorly Zoo and Aquarium and funded by Conservation International, the Primate Action Fund, and the Margot Marsh biodiversity fund – will help determine the best way to target conservation programs for this species. Further research and conservation programs will be identified once this initial research has been completed. As a development and conservation NGO, Dahari has a wide range of activities with local communities, including habitat protection actions that will benefit the Mongoose lemur. Since 2008, Dahari has supported over 2500 farmers innine villages around the Moya forest in the south of Anjouan to improve their agricultural yields and revenues. The NGO proposes techniques that restore and maintain fertility to improve yields in the long-term, whilst also making agricultural practices more compatible with forest conservation. Dahari benefits from the technical support of the Centre International pour la Recherche Agronomique pour le Développement (CIRAD) on its rural development work. Since September 2014, Dahari has been running a conservation program for the Livingstone fruit bat (Pteropus livingstonii), an endangered species endemic to Anjouan and Moheli islands in the Comoros. The conservation program is implemented in partnership with local communities in order to protect the roost sites of the bat by finding solutions that allow the villagers and the Livingstone’s fruit bat to live alongside each other, without the needs of one hindering those of the other. 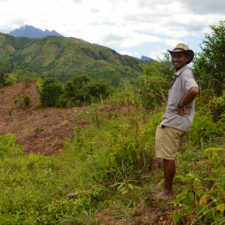 The Comoros suffered from the highest rate of deforestation in the world between 2000 and 2010 according to UN figures. This has had a huge impact on soil fertility and water availability – 30 of 45 permanent rivers on Anjouan now flow intermittently. Dahari is therefore developing a reforestation program and a water management project in partnership with local communities on the island of Anjouan. Donations cannot currently be accepted online, though they may be able to accept donations through their international partners. Contact Dahari at contact@daharicomores.org to learn more about donating.